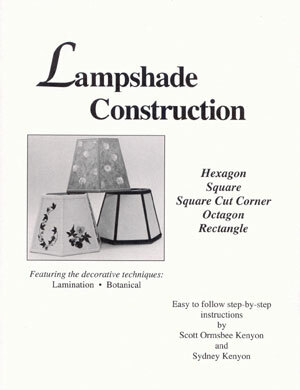 Lampshade Construction - Well done step-by-step instructions dealing with basic flat panel shade construction. Learn to laminate fabric - paper - and real pressed flowers. Hexagon frame and glue method freatured example - with glossary. 36 pages.